Successful refinancing exercise provides 6-year runway with minimum repayment and interest. Potential strategic partners boost prospects; utilisation and day rates improving. Temasek-linked Pavilion Capital’s strategic investment a confidence booster. Upgrade to BUY; Target Price lifted to S$0.29. Upgrade to BUY; Target Price S$ 0.29, based on 1.4x FY18 book value. potential strategic partners brighten growth prospects. Ezion’s shares are expected to resume trading on 17-Apr-2018. Strategic industrial partners on the way? Ezion remains in talks with strategic partners that could offer financial support or liftboat assets to tap the demand recovery. We believe potential tie-ups with prominent industry players enhances Ezion’s growth prospects, which would otherwise be constrained by its high gearing level. This serves as a catalyst for further re-rating. We are more hopeful on Ezion’s turnaround. We value Ezion based on 1.4x FY18 book value, in line with the valuation multiple ascribed to SGX-listed peer POSH post massive impairments, arriving at a target price of S$ 0.29. Our FY18F book value has factored in ~US$1.1bn total impairments made in 2015-2017 and assumes full conversion and exercise of bondholders’ warrants. Falling oil price below US$50/bbl, might hit O&G activities, and thus drag demand and day rates improvement for liftboats. This poses downside risks to our earnings forecasts. Investing up to S$50m, representing 10% of current enlarged share cap (or 3.4% on fully diluted share cap). 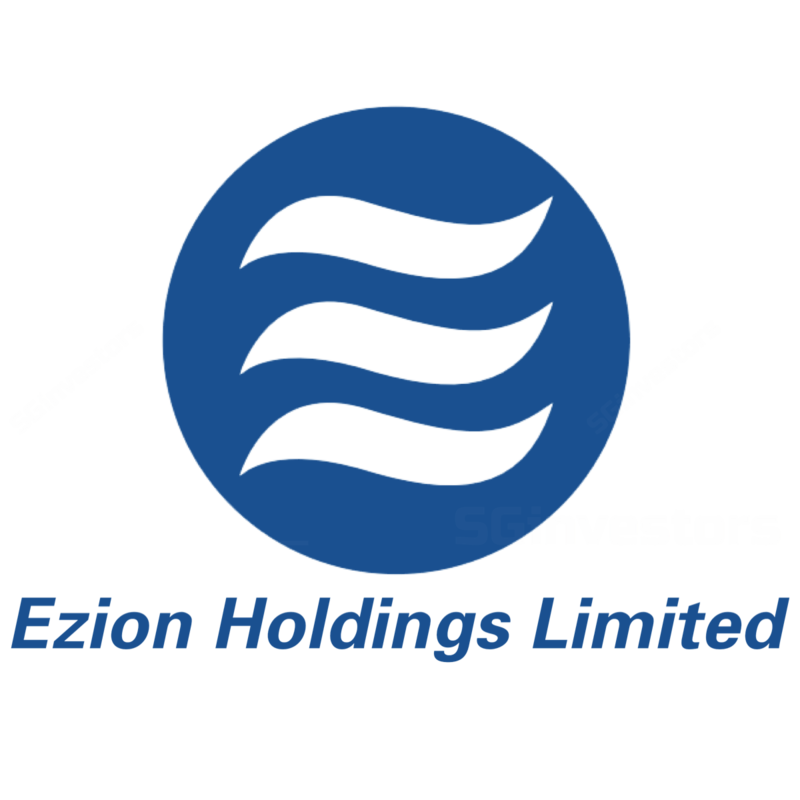 On 6-Apr, Ezion announced that it has entered into an agreement with Pavilion Capital Fund Holdings Pte Ltd (Pavilion) for the subscription of 96.153m new shares in Ezion at an issue price of S$0.208 and 137.614m non-listed and non-transferable share options for S$1, with each option carrying the right to subscribe for one new share at the exercise price of S$0.218 per share. The options are exercisable within 3 years from issuance date. The issue and exercise prices represent 6-11% premium to last traded price, but at 16-21% discount to the exercise price of warrants issued to existing stakeholders. The proceeds raised will be used mainly for business expansion and the pursuit of new business opportunities, joint ventures or partnerships with various strategic industry partners, and for working capital purposes. Prominent strategic investor boosts confidence. Pavilion is a Singapore-based private equity investment firm. It is a subsidiary of Pavilion Capital Pte Ltd, which is owned by Temasek Holdings Pte Ltd.
FY17 results hit by impairment. As earlier guided, Ezion posted a loss of US$1.0bn for FY17. This was attributable largely to impairment on PPE (property, plant and equipment), receivables and loans to JV which in total amounted to US$897m in 4Q17. Stripping impairment and net forex loss, core loss was approx. US$100m for FY17. Ezion has reversed c.US$50m revenue in 2017, as the customers were not making payments for the charters. Hence, 1Q-3Q 2017 financials will be restated. Marked down c.90% of book value. During 2015-2017, Ezion has taken c.US$780m impairments on PPE, representing ~33% of the Property, Plant and Equipment balance as of end 3Q15. In addition, it has also impaired c.US$370m on trade receivables. The total impairments of US$1,155m has marked down its book value by c.90%. We believe the likelihood of further major impairments in the near term should be low after the massive exercise in 4Q17, and improving sector outlook. Net gearing increased from 1.1x to 4.5x post impairment. However, it would be lower at < 1.0x 4Q2017 and US$60m in FY2017 assuming full conversion and exercise of warrants. On a positive note, Ezion recorded positive operating cash flow of c. US$20m in 4Q2017 and US$60m in FY2017. Utilisation is improving. Given the higher oil prices, O&G activity is picking up, driving demand for service rigs. Ezion’s operating rig fleet has increased to 17 units as of end 4Q17 from 15 in end 2016 as Ezion managed to deploy 4 additional liftboats – 3 to the offshore oil and gas industry and 1 to the offshore windfarm industry. Utilisation for its liftboats hovered at around 70% in FY17 and is expected to rise to > 90% by the end of this year; jackups were only 19% utilised in FY17 but should improve to 50% this year. Ezion sold 2 jackups in 1Q18 and plans to dispose of another 5 units, reducing its jackup fleet to 13 units. We understand that the potential resale value for these earmarked units have been taken into consideration during the assessment for impairment and any disposal losses should not be huge. Day rates see signs of recovery. Day rates, especially for jackup rigs, have been on a declining trend since the oil crisis and continued to see downward pressure last year. Average rates were down at least 50% from rates prior to the crisis. We are now seeing some signs of rate recovery. Average day rates for liftboats could improve from last year’s estimated ~US$30k level to US$40k on average. As for jackups, day rates are also rebounding. Average day rates for jackups could normalise to ~US$30k level this year from FY17’s estimated average rate of ~US$54k, in the absence of legacy contracts and commencement of charters at lower rates. Received blessings from all stakeholders on refinancing exercise. Allows Ezion to seek Strategic Partners and Investors to strengthen its balance sheet and expand the liftboat fleet. extending a new working capital line of up to USD118m to help fund the deployment of vessels over the next one year. Bondholders: Series 003-007 bondholders are given the option to choose between Option A straight bond or Option B convertible bond (or a mix, if applicable). Series 008 perp-holders are given the option to choose between Option C straight bond or Option D convertible perpetual (or a mix, if applicable). The Consent Solicitation Exercise (CSE) was successfully passed on 20 November 2017; 79% opted for the conversion options while 21% for the straight bond options. The reduction in coupon to 0.25% could save up to c.USD28m in interest cost. Management team: Significant reduction of remuneration. Series 009 Securities redeemed at principal on 5 Feb 2018. Series 009 is credit-wrapped and has the benefit of a committed loan facility provided by DBS. Ezion could raise over US$500m in new funds in this exercise, largely from existing shareholders’ exercise of warrants and issue of new shares to strategic investors. The proceeds may be utilised to fund future expansion. Assuming full conversion and exercise of warrants by end of 2019, book value could be lifted from current US$305m to ~US$1.2bn, implying a book value of S$0.24. Net gearing should be reduced to < 1x. In our model, we have factored in new shares issued for investors - Asdew and Pavilion in 1H18. For security holders’ warrants, we assume full conversion in the first 60 days incentivised by the 10% early conversion discount. As for secured lenders’ and shareholders’ warrants, we assumed conversions in 2019 as these warrants are not subject to 6- month reset of exercise price and hence shareholders are in no hurry to fork out cash to exercise till they are in the money. Potential strategic industrial partner on the way? Potential white knights boost growth. Successful refinancing is half the battle. Ezion remains in talks with potential strategic partners that are synergistic with its existing liftboat business and financial investors to strengthen its balance sheet and position it to ride the sector’s recovery. Having strategic shareholders is a critical weapon required to win the other half of the battle i.e. earnings recovery. Financial backing will be required to grow Ezion’s operating fleet to tap demand for liftboats and Mobile Offshore Production Units (MOPUs). Focus on liftboat, MOPU and wind-farm segments; go asset light. Ezion retains its competitive edge in liftboat business, being the first and only player familiar with liftboat operations in the region, and thus will focus on growing its liftboat fleet going forward. Management will also explore opportunities in MOPU to re-deploy the existing jackups. The windfarm business in China is shaping up. The first unit was put to work in 3Q17 and the second liftboat for is expected to be delivered by end of 2018. Given the balance sheet concern, Ezion should adopt asset light model and capitalise on future strategic partners’ financial muscle to grow its business. This could be done in the form of a JV and/or leasing model as Ezion provides its rig operating expertise and existing business network.